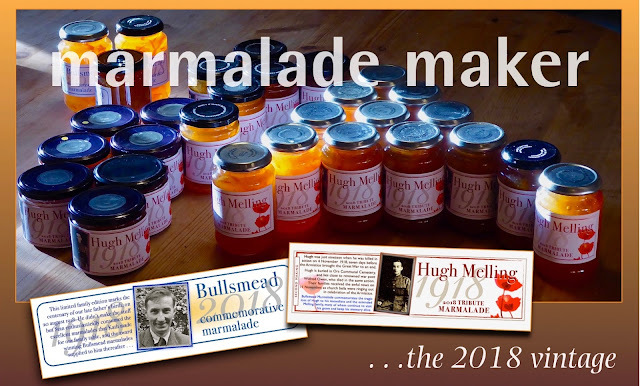 I MAKE MARMALADE annually – it is increasingly popular. 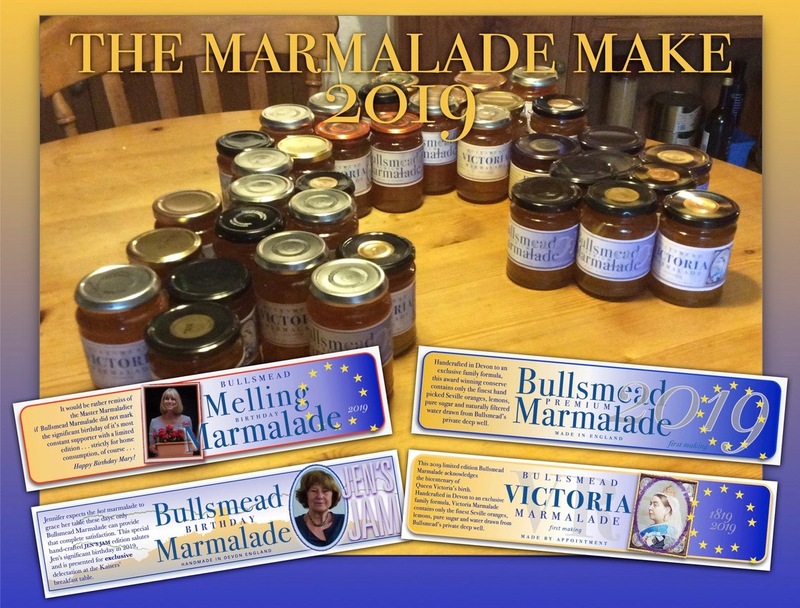 It is not for sale: originally for home consumption, you only get gifted a jar if I like you a lot (or I am deeply indebted to you for something or other, possibly both). In 2018 I marked two centenaries: Hugh Melling, Mary's Great Uncle, killed in the last days of the Great War; and Stan Smith, my father, born in the last months of The Great War . . .
2019 labels are shown above, together with most of the production for the year… a generic, a Victoria, and two significant birthdays. 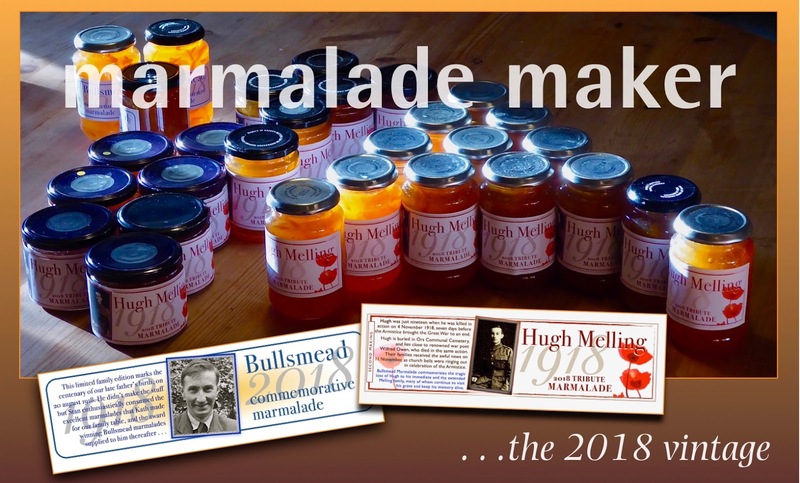 I've made marmalade for more than thirty years but the makings shown below are the more recent versions that celebrate various events and anniversaries.